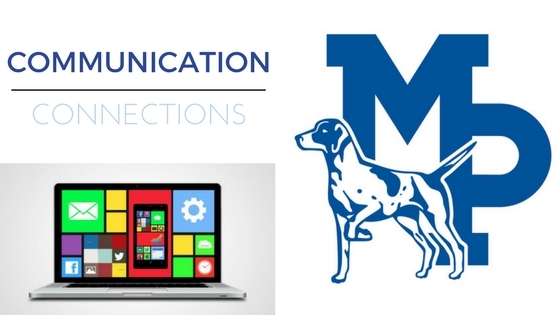 Welcome to the Communications Corner for the Mineral Point Unified School District. Email photos and stories to Communications Director Joelle Doye at joelle.doye@mp.k12.wi.us or call 987.0723. Our mission is to communicate with the public about our school district as an organization, including regularly sharing information about all Mineral Point School District programs, services and initiatives. We strive for transparency and openness in communication with all members of our school community–parents, students, staff, and citizens. Our work is ultimately committed to improving educational opportunities for all students. We do this using a variety of methods to keep citizens informed about educational services, achievements, and expenditures on a regular basis. We strive to be proactive and strategic and communicate with a unified voice while engaging all stakeholders in an active two-way conversation. The District is a member of the Wisconsin School Public Relations Association (WSPRA) and the National School Public Relations Association (NSPRA). The District’s communication efforts have been recognized by the following: WSPRA, NSPRA, #K12PRChat, #SuptChat, WI Rural Schools Alliance, CESA #3, WI Association of School Boards, Donovan Group, WI Athletic Directors Association, #SocialSchool4EDU, The School Superintendents Association, WI Association of School District Administrators, and University of Wisconsin-Platteville.